When you are looking for a veterinary animal hospital, you should be able to count on superior care and excellent service. 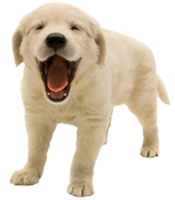 We at Lake Michigan Animal Hospital have assembled an expert team of veterinary professionals to bring you the best possible health care for your pet. We strive to provide veterinary care that is tailored to your specific needs and desires. We feel it is of utmost importance to treat every client and patient on an individual basis and will take the time to educate you with all available options for your pet. Please call 616-895-5852 to schedule an appointment and we will find a time that is convenient for you. When you walk through our doors, you and your pet will be welcomed by one of our friendly team members. Please bring in any medical history you have of your pet to be reviewed at this time. A technician or assistant will then start with a brief medical history and listen closely to any questions or concerns you have about your pet. The doctor will then perform a complete medical exam and discuss all possible options regarding the care of your pet. An estimate for all treatment and diagnostic plans will be provided and explained so you can feel comfortable with your choices. Most diagnostics and treatments can be performed and completed before you leave, however, if time is a concern, we also welcome for you to leave your pet with us or we can call you with results. When your visit is complete, a team member will discuss any recommendations for follow up visits, medications going home, or any further treatment needed. In some circumstances, our doctors may offer to refer you to a specialist who has advanced expertise at a specialty hospital.